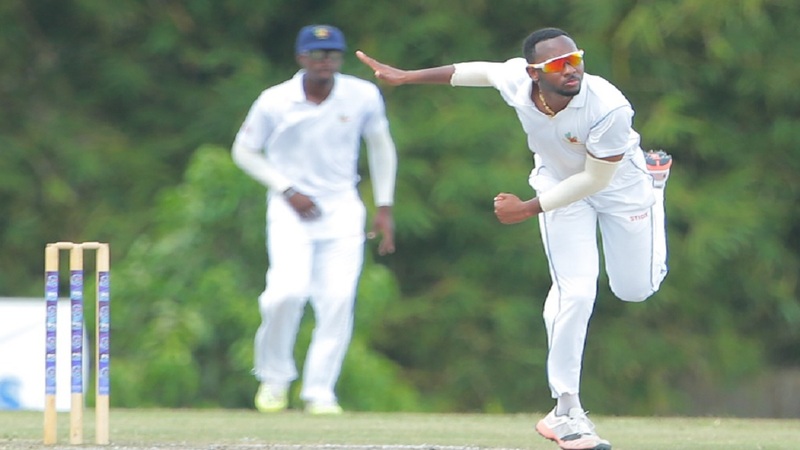 Jamaica Scorpions will be hoping for early wickets when their day/night third round contest of the 2018-2019 West Indies four-day championship against Windward Islands Volcanoes resumes on Saturday at Sabina Park. The match is scheduled to begin at 2:00 pm. On Friday’s opening day, a career-best spell from part-time left-arm spinner Kavem Hodge undermined the Scorpions batting and gave Windward Islands Volcanoes the early edge. The Scorpions were bowled out for 210 and the Volcanoes reached 34-1 in their reply. Hodge defied half-centuries from Guyanese left-hander Assad Fudadin and opener Chadwick Walton to grab 4-40 from 20 overs with his teasing left-arm spin. Fudadin led the way for the Scorpions with a resolute 81 from 231 balls that included four fours and three sixes and Walton supported with 52 from 87 balls that contained eight fours and one six. The pair shared 66 for the third wicket, after rookie Josh Thomas snared opener John Campbell for 21 and Test batsman Jermaine Blackwood for a first-ball duck to leave the home team 30 for two. 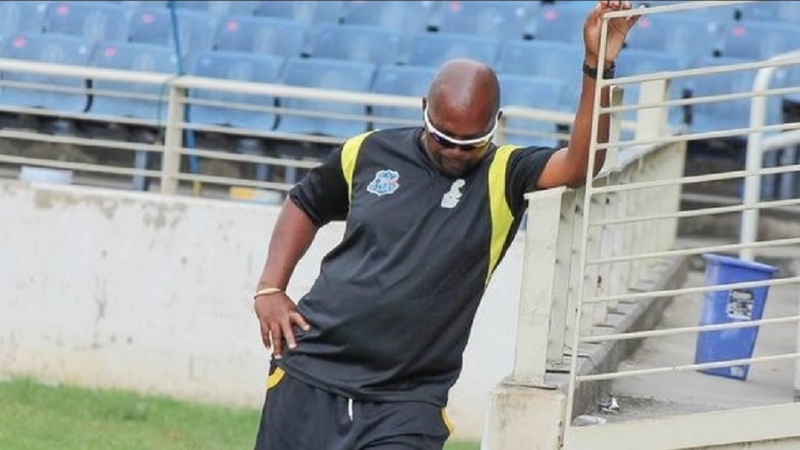 Once left-arm spinner Larry Edward bowled Walton just before lunch, there was little stability from the rest of the Scorpions batting and they lost their last seven wickets for 99. 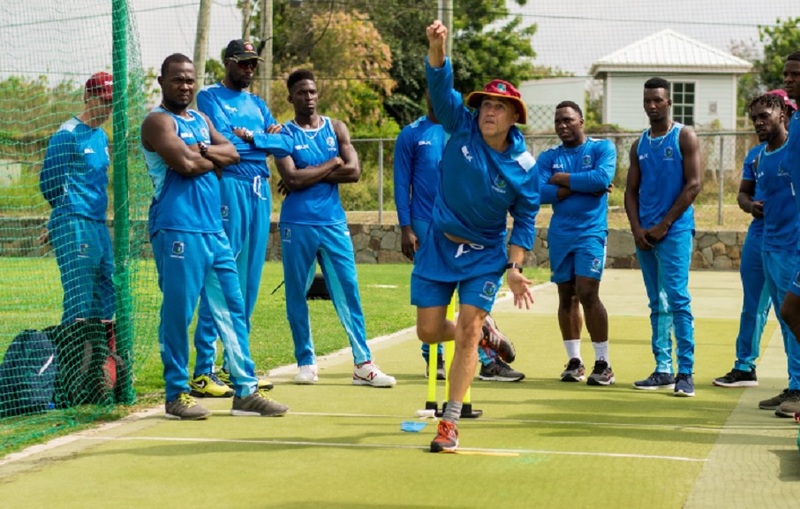 Reynard Leveridge however, made an important breakthrough for the Scorpions before stumps were drawn, when he had veteran Volcanoes left-handed opener Devon Smith – last season’s leading scorer – caught in the slips for five. Scores in the match; Jamaica Scorpion 210, Windward Islands Volcanoes 34-1. OVER AT KENSINGTON OVAL IN BARBADOS: Opener Chandrapaul Hemraj scored his maiden first-class hundred to lead Guyana Jaguars to 319-5 against Barbados Pride. Hemraj survived a chance before lunch to score 144 against a formidable Barbados Pride attack. Hemraj, the West Indies One-day International opener, punished the Pride attack which comprised West Indies Test and ODI captain Jason Holder, as well as Kemar Roach, Miguel Cummins, Jomel Warrican and Ashley Nurse. He struck 20 fours and four sixes from 172 balls in four hours at the crease, passing 1,000 first-class runs along the way, as the Jags dominated the star-studded hosts, after they were put into bat on what turned out to be a hard, easy-paced pitch. Hemraj was fortunate on 33 however, when second slip fielder Ashley Nurse put down a straightforward chance off Cummins about 35 minutes before lunch with the Jaguars 49 without loss. He remained to share 134 for the first wicket with Tagenarine Chanderpaul, son of West Indies batting legend Shivnarine Chanderpaul, and dominated a second wicket stand of 65 with his captain Leon Johnson. Hemraj’s dismissal sparked a mini collapse that saw the Jags slip to 214 for five, but Barbadian all-rounder Raymon Reifer, now a fixture in the visitors’ line-up, was unbeaten on 53 and wicketkeeper/batsman Anthony Bramble was not out on 51 and led a revival with an unbroken stand of 105 for the sixth wicket. OVER AT THE BRIAN LARA CRICKET ACADEMY IN TRINIDAD: Opener Montcin Hodge also scored a century to lead Leeward Islands Hurricanes t0 291-6 against Red Force. Hodge was undefeated on 112 – his third first-class hundred. 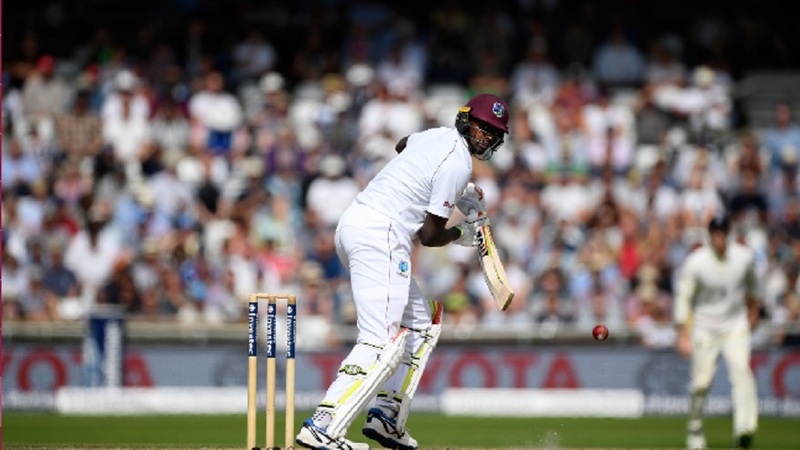 The Anguilla-born opener, batted all day, collecting 14 fours and one six from 278 balls to anchor a string of partnerships, as the Hurricanes recovered from the cheap loss of their captain and West Indies Test opener Kieran Powell. Not for the first time, immensely-talented all-rounder Rahkeem Cornwall furthered his claims with a fluent 65 in a sixth-wicket stand of 101 with Hodge, Akeem Saunders made 41 and Devon Thomas added 27. Hodge shared 50 with Thomas for the third wicket to carry the Hurricanes past 100 and 57 with Saunders for the fourth wicket to carry the visitors past 150 before he and Cornwall linked up. West Test spearhead Shannon Gabriel had a decent warm-up for the first Test against England later this month with 3-41 from 16 overs and veteran leg-spinner Imran Khan supported with 2-100 from 35 overs.